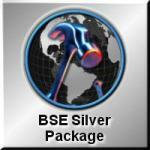 Silver Package - BSE Estimator w/ Quickbooks interface. 30 Days Annual Service Contract including: * 30 Days Unlimited Phone Support On Our (800) Number; * Any Upgrades Released During The Next 30 Days "AT NO CHARGE", 1 User License. 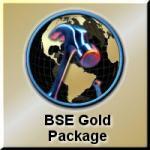 BSE Estimator w/ Quickbooks interface. 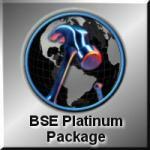 Platinum Package - BSE Estimator w/ Quickbooks interface. 1 Year Annual Service Contract including: * 12 Months Unlimited Phone Support On Our (800) Number; * Any Upgrades Released During The Next 12 Months "AT NO CHARGE", 3 User Licenses.